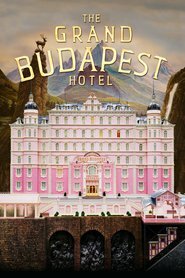 Living… in the Grand Budapest Hotel. His every breath is for the Grand Budapest. Within its walls, as concierge, Gustave H. oversees the staff as well as the needs of the guests. He makes sure everyone on staff is doing their duty, and all the guests are enjoying themselves to the utmost of comfort. Interests… poetry, etiquette, and Mendl’s pastries – especially Herr Mendl’s courtesan au chocolat. Relationship Status… player. Gustave has never settled down, but has instead made a name for himself by “servicing” many of the old rich women who frequent the hotel. As he says, “I go to bed with all my friends.” That comment earned him a swift punch in the face. Challenge… proving himself innocent of Madame D’s possible murder while simultaneously keeping the Grand Budapest in working order. He will need the help of his new lobby boy Zero to keep things on an even kilter at the hotel. And he may ask even more of Zero than expected, as there are fewer and fewer people Gustave H. can trust. Personality… delicate, “discreet to a fault,” sophisticated, and calculating. Gustave H. can write romantic poetry with one hand while ordering around his lobby boy with another. Gustave H. believes that “rudeness is merely an expression of fear,” and he is the most polite man at Grand Budapest. At least, he’s the most polite man to his guests; how he treats his lobby boy is another story. Monsieur Gustave H.'s popularity ranking on CharacTour is #1527 out of 5,000+ characters. See our top-ranked characters and read their profiles.